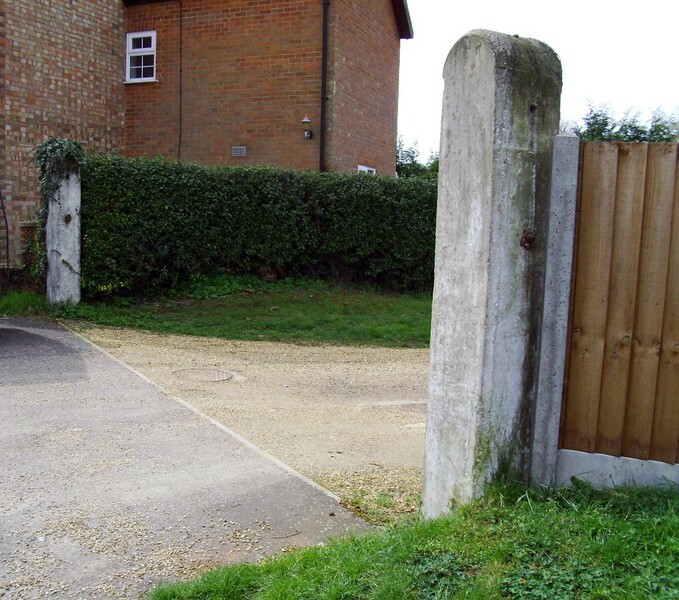 Remaining crossing gate posts at Church Road, Watton. The track passed from left to right. Similar posts still exist across the road. Fifty two years since the last passenger train passed through. The right hand fence panel is the boundary of the crossing keepers cottage garden, next photo. Image dated 10th April 2016.